In August 2018, a young family and their children were at a friends home swimming at the pond and fishing. They brought their beloved dog, Kaylani along so she could run and swim. She had been there before and loved to run around the pond. At 3:30 pm Mr. Scott Fuller noticed a dog around his chickens. According to his report he shoo'ed the dog off. His chickens were not in a fenced yard or a coop. They are free roaming chickens. At 5:30 the family heard several gunshots. They ran to the sound of the shots to find Mr. Fuller with their deceased dog in a bag. He handed the bag to the family and told them to leave his property. The police were called and found blood on the driveway, but no chicken feathers where the dog was shot and dragged back to the property and put in a bag, according to Mr. Fullers report. In the state of Illinois, you are allowed to protect your livestock even if it means killing an animal. However, according to police reports, there were no feathers found near where the dog was murdered, meaning the dog had not harmed Mr. Fuller's livestock. According to Mr. Fuller's statement, the dog was not being aggressive toward him. Kaylani had a gunshot wound in her leg, one in her back and 4 to 5 in her head. He shot Kaylani mere feet from a road and just aprox 100 ft from where the families were gathered at the pond. Mr. Fuller was arrested on reckless discharge of a firearm. But there was no arrest for Animal Cruelty, even though this poor dog was brutally murdered by this person, which he admits to. In Illinois, you cannot hunt down and kill fleeing dogs (People vs Pope, 383 N.E.2d 278(Ill. ct. app. 1978)). Evidence shows the dog was not near the chickens when he was shot. Mr. Fuller chose to take the life of a family's pet. He had ample opportunity to call the authorities between 3:30 and 5:30 to report a dog running at large chasing his chickens. He could have also approached the owner of the dog and had them restrain her. I am sure they would have complied. The owners were cited for their deceased dog running at large. Not only could this situation been avoided, but Mr. Fuller clearly broke more laws than just an illegal discharge of firearms. Child endangerment for firing a weapon within feet of children playing. Destruction of property for killing a loving families pet. Most of all, Aggravated Animal Cruelty for brutally murdering a beautiful dog, a family member, 2 young kids' best friend. 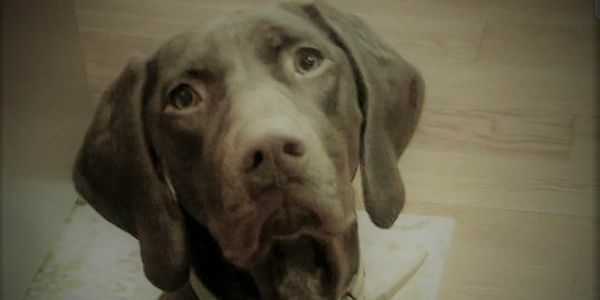 Please sign this petition to have charges filed against Mr. Fuller for blatantly disobeying the law, and for killing a family's pet. This was animal cruelty. Please help seek justice for Kaylani and her family.